If you are experiencing back pain right now, and you don’t want addictive pain medications or surgery, call National Pain Institute. We try our very best to treat patients without first turning to addictive narcotics or surgery. Continue reading to learn more details about upper and lower back pain, and to find out how we treat this condition. Back pain is a common condition that can either be acute or chronic. If it comes on suddenly and lasts 3 months or less, it can be categorized as acute pain. However, if back pain lasts longer than 3 months and causes long-term health issues, it can be categorized as chronic pain. Back pain is common in adults ranging in age from 35 to 55. However, back pain can affect anyone at any age. It has to do with the way the muscles, bones, and ligaments work together in the back region. There are several symptoms associated with back pain that you should be aware of. If you are experiencing any of these symptoms, call National Pain Institute. We can help determine the cause(s) of your back pain so we can provide proper, effective treatment. As you can see, the list of causes is quite long (and many more can probably be added). But how do you treat and care for lower and upper back pain? Wondering how to manage and live with back pain on a daily basis? Many of our patients wonder the same thing, but now we’re here to give you some tips for daily living to lessen and/or prevent back pain. Ask your physical therapist about exercises you can do to strengthen the back muscles. It is very important to develop good core muscle strength, as this will help to lessen the amount of back pain you may experience. Good exercises should target the hips, back, abdominals, and the pelvic region. When lifting something, not matter how heavy it is, always lift with your knees instead of using your back. This will take the pressure off of your back so it doesn’t become strained or injured, which can lead to pain. When standing or sitting down, always practice good posture. Good posture may become easier when you have stronger core muscles, too. Avoid the common urge to lay down when your back hurts. Laying down is okay sometimes, but not all of the time. Instead, ask your doctor or physical therapist if it’s okay that you do some stretching or other light exercises. If pain intensifies, call your doctor. It is always best to be safe than sorry. Are you suffering from lower or upper back pain, but you don’t want to start taking addictive pain medications? 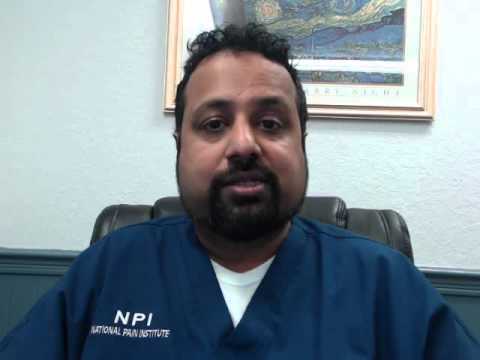 National Pain Institute in Florida can help you lessen your back pain without taking addictive pain medications or surgery. We have offices in: Lake Mary, New Port Richey, Port St. Lucie, Turkey Lake, Lady Lake, and Winter Park, FL. The first step to relieving back pain is calling us for a consultation appointment. We can help you determine which pain management technique is right for your situation.